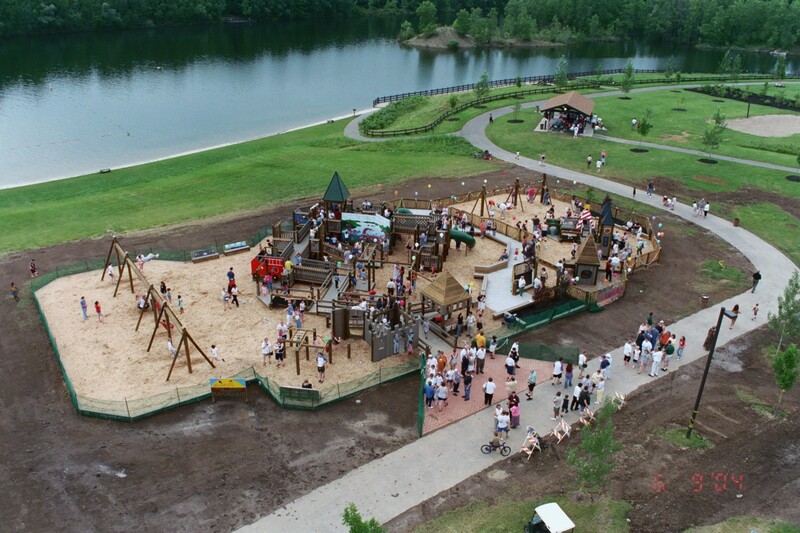 Ten years ago January 1, 2003 Hawk Island Park opened its gates as a fully operational Ingham County Park! While this may sound slightly corny – can you even imaging the City of Lansing and Ingham County without Hawk Island Park? Even if you can, why would you want to? This amazing park nestled in the south end of Lansing next door neighborhoods and business, is in my humble opinion one of the best things that happened in Ingham County in the last decade. In 2003 the park was open with the beach, trail, picnic shelters, fishing docks, pedal boats and some really small trees! 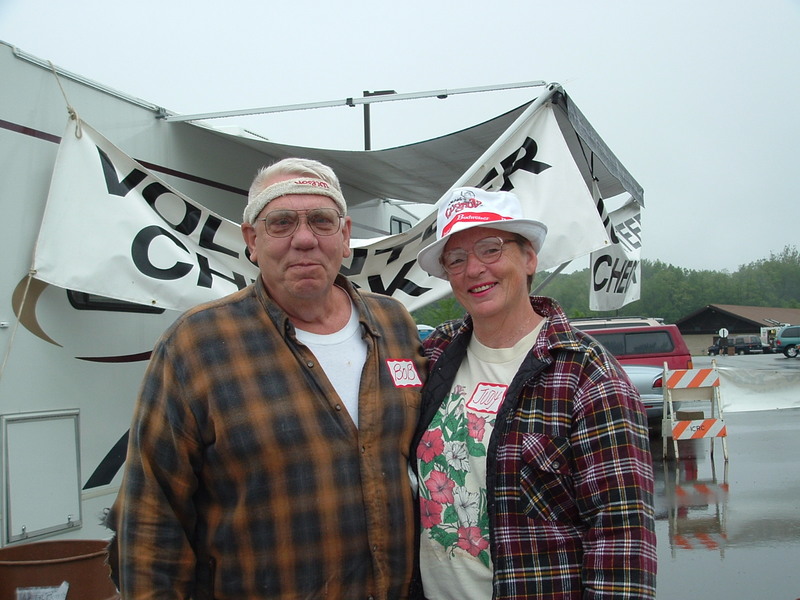 Before the year 2003 had ended, an amazing group of residents led by Jim Spackman and Alfreda Schmidt engaged the community to donate funds to build a playground. In 2004 the playground was built with the helping hands of 2,000 residents and thank you Mother Nature 7 days of unforgiving rain! But we did it and the community built playground remains an outstanding play place for children. 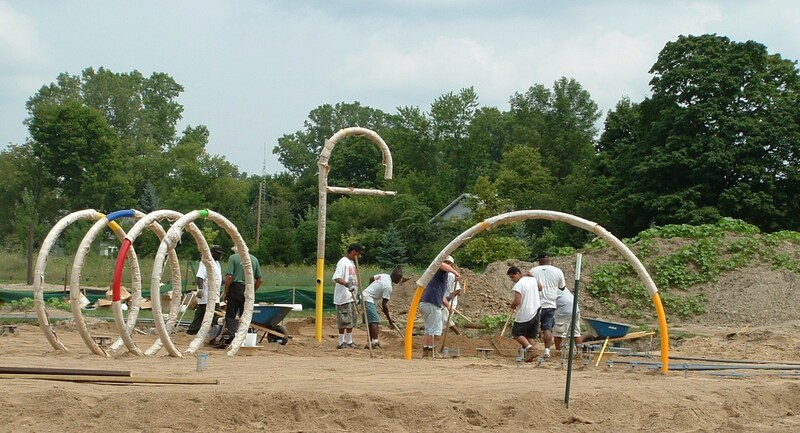 In 2005 it may seem like we were resting on our laurels, but the Ingham County Park staff was busy putting together a grant application to build a Splash Pad. In 2006 that mission was accomplished and in late summer the Splash Pad opened. Over the course of several years with visitation to the park climbing to well over 1/2 million people each year, we have planted more trees, that are graciously growing, installed efficiency items such as hand dryers and attacked several landscaping projects. In 2013 the community has again welcomed an addition to the park and this time it is geared for winter fun! The Hawk Island Snow Park has thus far been a huge hit within our community. Park visitors can enjoy the tubing side of the hill or snowboard on the terrain park. I suspect that with time and experience under our belts, this will only get better! We hope you have been enjoying Hawk Island over the past decade. Who knows what may come in the next 10 years! Happy New Year! Amazing that it is 2013 when it seems like just yesterday the world was looking ahead to Y2K! Looks like all is well once again! As most of you know the Parks have been working with far less funding than in past years. Budget reductions – I should say significant budget deductions began in 2010 when over 24% of appropriation funding was eliminated. More decreases have followed each year and again in 2013. This year, sadly the Parks Department has lost one staff person who will be greatly missed. Ingham County Parks have 12.5 full time employees and hire seasonal staff to help us manage busy times. The parks are open 364 days a year from sun up to sun down. Our promise to you remains the same; Parks that are EXCEPTIONAL in NATURE for all 4 SEASONS. We will continue to work to have the parks available routinely and to all citizens regardless of ability to pay. 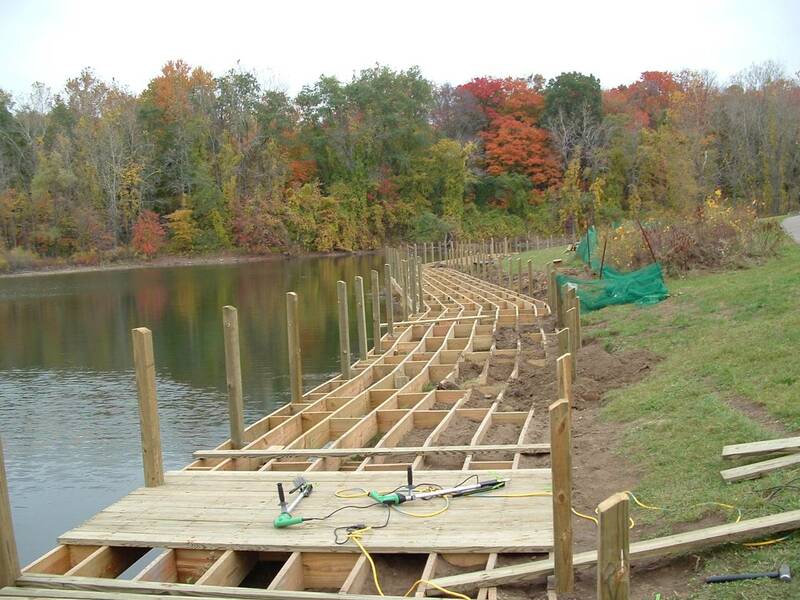 The Friends of Ingham County Parks will be fundraising in 2013 to support our outstanding park system. 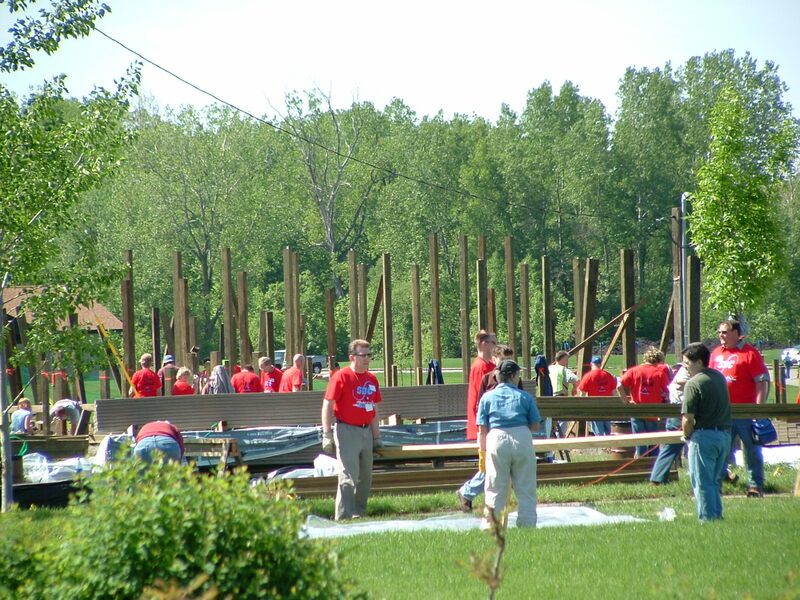 Check out donor options on our web page friendsofinghamcountyparks.org We can use your help!